Siveco Group will be exhibiting at BIM World on April 2-3 at Paris Expo Porte de Versailles. With Coswin BIM, Maintenance Management solutions and BIM converge to meet the needs and concerns of facility managers and technical service providers, to ensure the safe, reliable and efficient operations of buildings and infrastructures. Meet with our group team on booth A5 (Pavilion 5.2) for a demonstration of Coswin BIM! 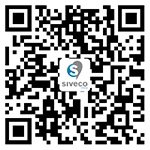 Siveco Group will also conduct a workshop on "How BIM & CMMS can converge", with the testimony of Xavier Demont, CMMS Manager from Universcience (the French public entity that manages two science museums in Paris) on Tuesday, April 2, Room A at 14h. BIM World is the largest worldwide event dedicated to Digital Transformation for Construction, Real Estate and Urban Planning. For more information about BIM World: https://bim-w.com/en.